Learning math can be FUN with this art activity to explore shapes. The goal of this activity is to learn about and explore shapes and size. 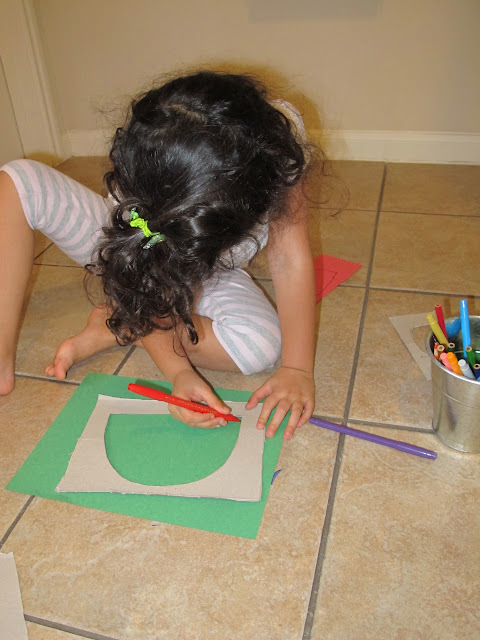 If your child struggles with fine motor skills, pre cut shapes for this activity or offer to do some of the cutting for the child if you start the activity and later realize tracing and cutting is too challenging. Depending on your child’s attention span, this project may not be completed in one time and can be worked on over a few days. If your child is highly creative, they may develop their own idea of what they want to create with the shapes, and that is totally okay. Create a cardboard template for three sizes of circles, squares, triangles, and semi circles. Using the cardboard templates trace three different sizes of each shape onto construction paper. 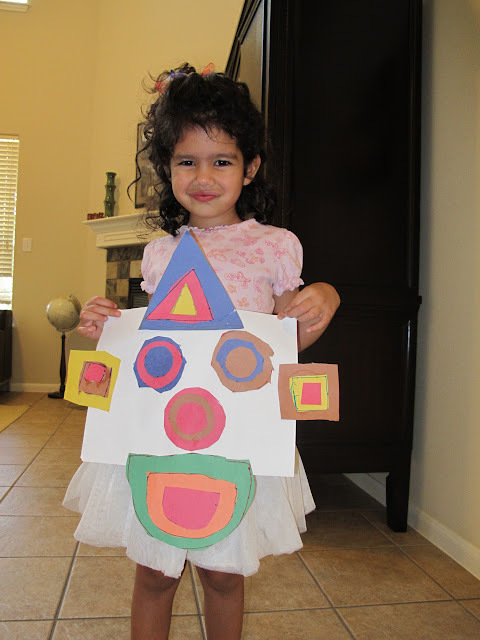 Use a full size piece of construction paper and arrange the shapes to make a face. Challenge the child to arrange the shapes so you can see each size circle. Once arranged glue the pieces on the paper. I'm Rebekah, a mom to 4 special kids. Let's walk together on this path of raising our children with extra needs. It can be tough, and I don't have all the answers. But I believe the power of fun, love, and wisdom brings light into our families' lives. If you feel stuck in grief, despair, or anger, this is still the place for you. I will hold onto hope for you as you travel on your way to Finding the Golden Gleam. Learn more.